Cream of Cauliflower with Salt Cod is a complete tasty dish made with cauliflower, salt cod, shallot and milk. Cauliflower is a typical vegetable of the winter season. You can make many dishes with it such as meatballs with cauliflower, pasta with cauliflower au gratin, fried cauliflower batter or, as in the case of this recipe, a creamy and velvety cauliflower soup. Cream of Cauliflower is an appetizing and nutritious dish. It’s creamy and delicious, but, more important, it’s an easy and quick-to-make recipe. 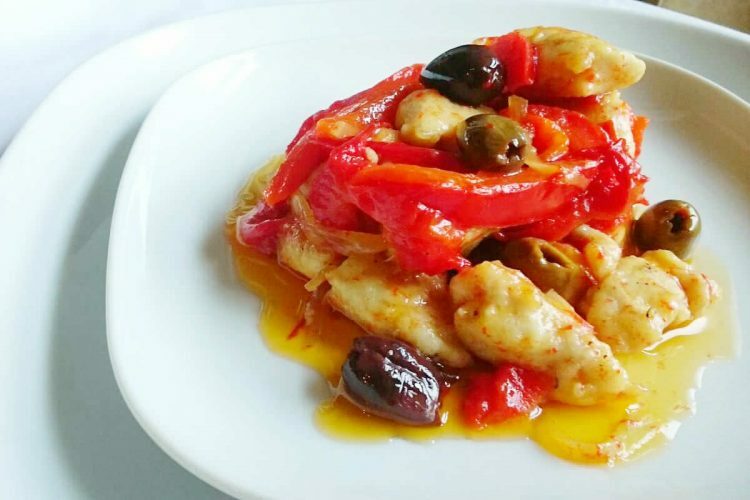 Baccalà or Salted Codfish is a food of unknown origin coming from northern cold seas. 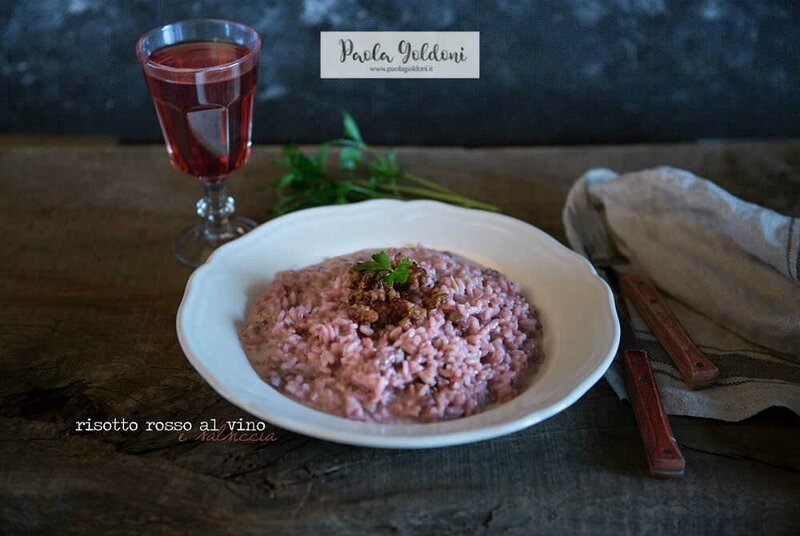 Since ancient times has always been very popular in Italy which is the second largest consumer in the world after Portugal. 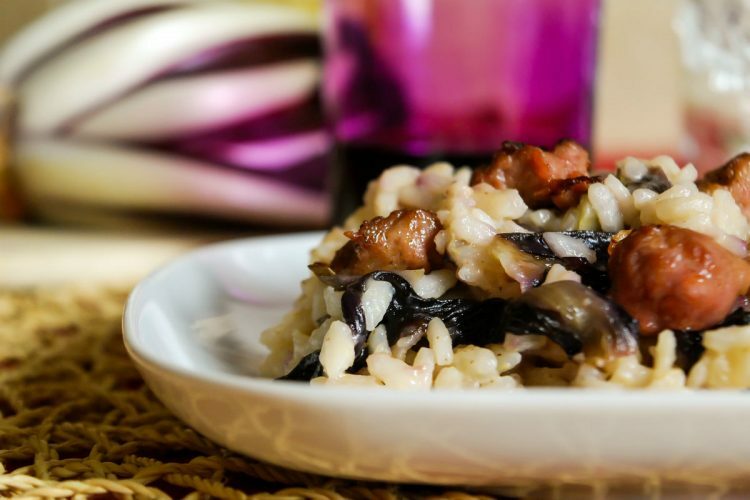 Almost all Italian regions have typical recipes made with salt cod. 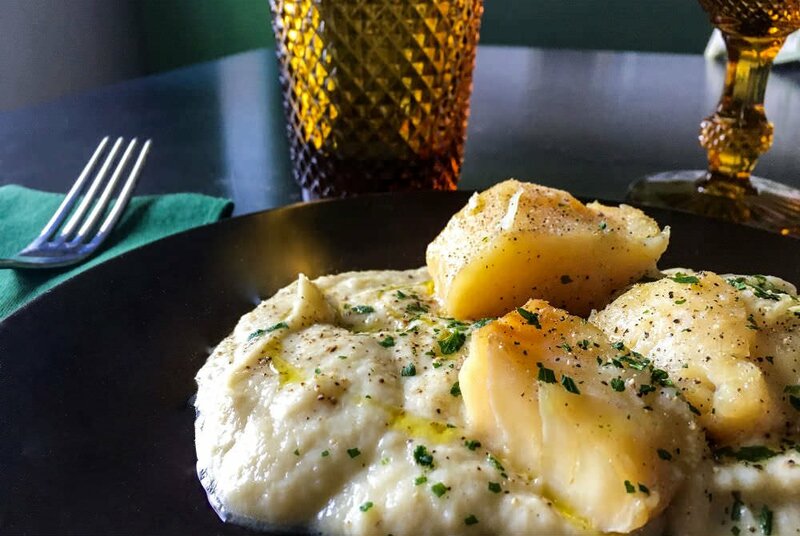 For example, in Liguria, near Imperia there is a very popular dish called Brandacujun or Creamed Salt Cod with Potatoes that is delicious. Cream of Cauliflower with Salt Cod combines the sweetness and the delicacy of cauliflower to the intense flavor of salt cod. The result is really great! 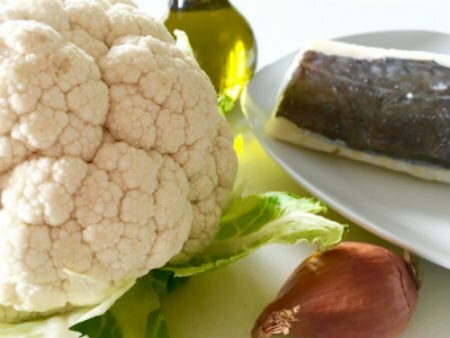 Let’s start to prepare Cream of Cauliflower with Salt Cod recipe! 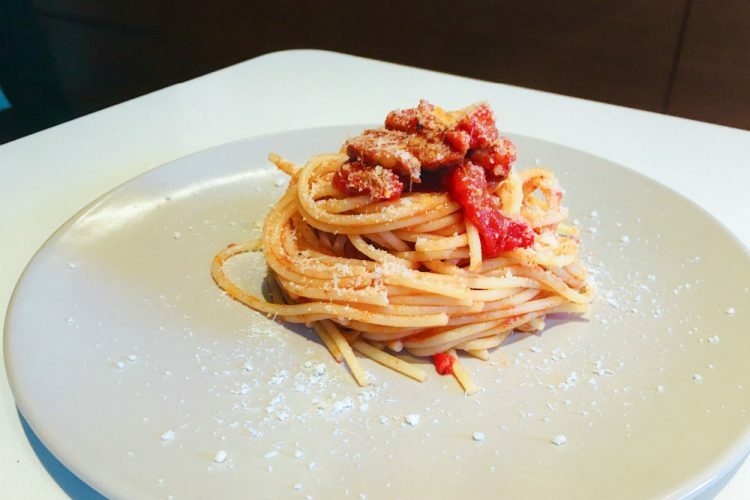 First of all: if you are using salted codfish, the most important thing before you begin to cook is to let it soak in fresh water for 48 hours, changing the water two or three times a day. Then clean and wash the cauliflower to make the cream, so cut it into big pieces and boil them for 10 minutes in water with a little salt (1-2). When ready, remove the cauliflower from the water and set it aside. Clean salt cod very well, removing bones and skin and cut it into pieces (3). Set them aside (4) meanwhile place in a saucepan the boiled cauliflower, the shallot (clean and cut into thin slices) with plenty of extra virgin olive oil (5). Cook few minutes, then add the pieces of salt cod (6). Cover all ingredients with milk and simmer (7). After about half an hour, turn off the heat and remove the pieces of cod and leave them aside(8). With an immersion blender, blend the cream (9). Add 3 tablespoons of grated Parmigiano cheese and stir (10). Now the cauliflower cream is ready. 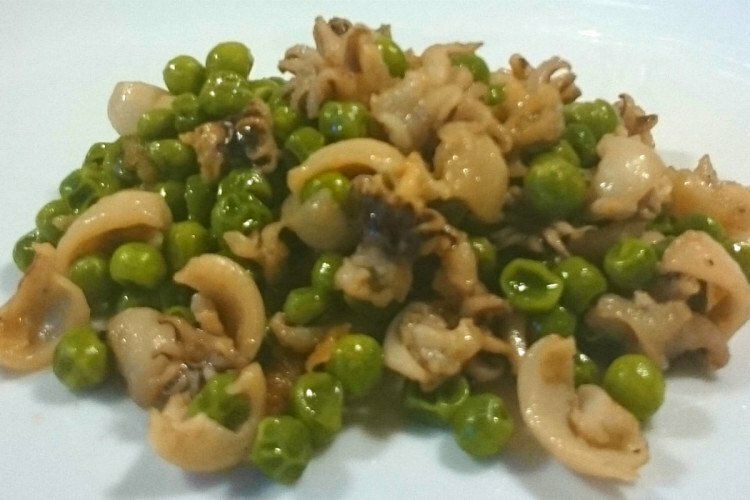 Place a little of Cream of Cauliflower in a plate with some pieces of cooked salt cod on top. Serve with a bit of pepper, chopped parsley and a drop of extra virgin olive oil (11). No Replies to "Cream of Cauliflower with Salt Cod"